I didn’t get all that much out of my first read (which was really a listen) so I thought I’d try this again but in print format (ebook). I had to do that with Ghosh’s River of Smoke, the second of the Ibis Trilogy. My first review is HERE – I went on and on about what I want in historical fiction. 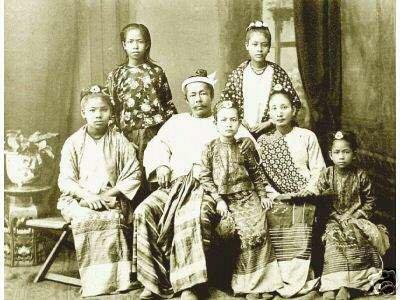 Colonel Sladen was chief political officer with the force sent to depose King Thibaw in 1885. 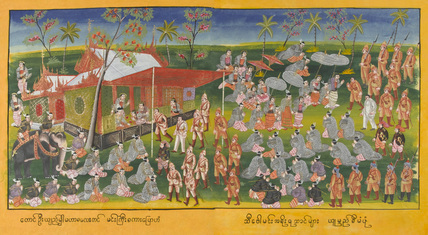 On the right is a painting of the two leaders, King Thibaw and Colonel Sladen, talking. “King Thebaw came out to the balcony and sat down to wait for the British spokesman, Colonel Sladen. The King was wearing his royal sash and a white gaung-baung, the turban of mourning.” (Loc 733-734) – It kind of goes with the above painting. 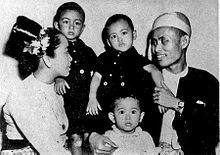 Aung San Suu Kyi and her family are also historical has been jailed many times but continues to be active as of 2012 in a freer Burma. Ghosh really focuses on the historical – the characters and their stories never really come to life apart from the history. I think I see that Ghosh is trying to show how history impacts the people directly in their lives. The history is detailed and sometimes superfluous; it kind of weighs the story down. 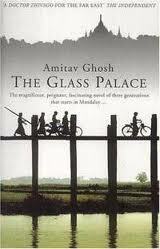 I think I would have enjoyed the book much more had I been better acquainted with Burmese history.